Cozy and comfortable on Prairie Lake! This seasonal cottage is perfect for those relaxing weekend get-a-ways and retreats from reality. Nestled on a quite bay on Prairie Lake with access to the entire 3800 Chetek Chain of Lakes, your summertime recreation awaits. If you are interested in a turn-key deal, the pontoon and furnishings are negotiable. 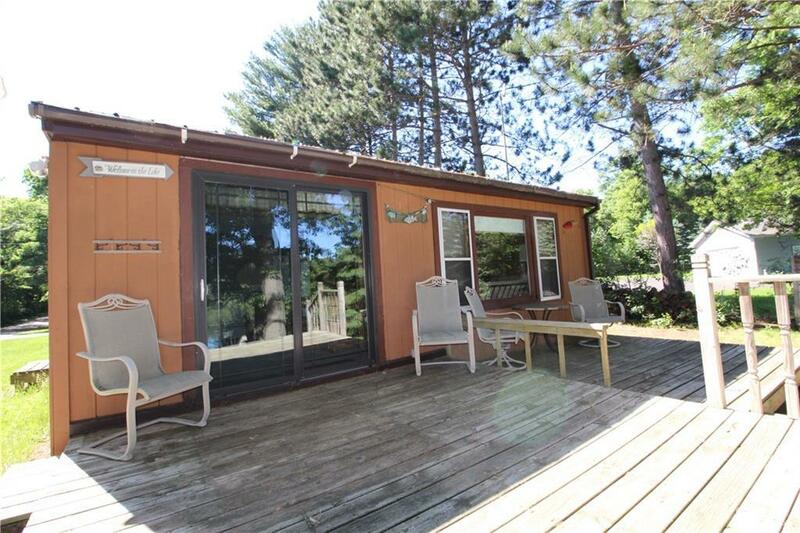 Enjoy the great Wisconsin Northwoods from your lakeside deck and catch fish right off the extra large dock. This is a great way to get on the water this year. Don’t put it off, you deserve a retreat.